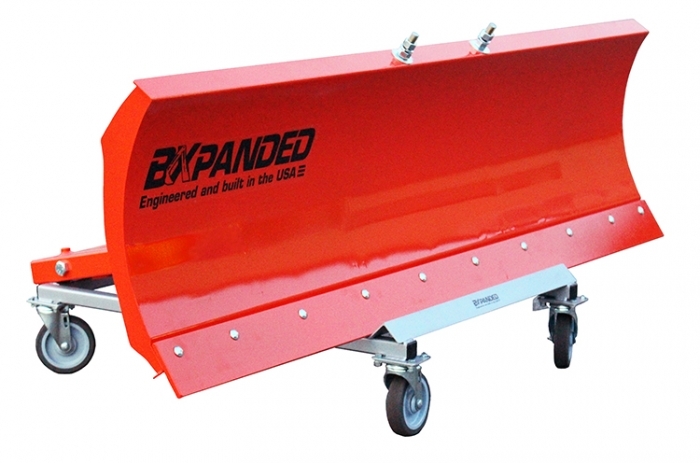 The BXpanded Snow Plow Dolly is designed as a convenient way to store the BXpanded Quick-On Snow Plow. The configuration of the dolly prevents the Snow Plow from slipping or shifting. The dolly is constructed of welded, structural square tubing for light weight and strength. Casters have rubber tires to allow easy rolling on rough or littered floors. The dolly is finished with a durable, hammered finish, silver. Initial assembly consists of bolting the casters in place. All other joints are welded. Like most other BXpanded products, the Dolly is compact and light enough to store easily when not in use. Snow Plow purchased separately. Bought this when I purchased the 60 inch plow. It is well made and makes moving the plow around very easy. Well worth the money. Q: Will this snowplow dolly work with the Kubota OEM snowplow? A: We have never actually tried it but it was designed specifically for use with our BXpanded Snow Plow so most likely it will not work with the Kubota plow. 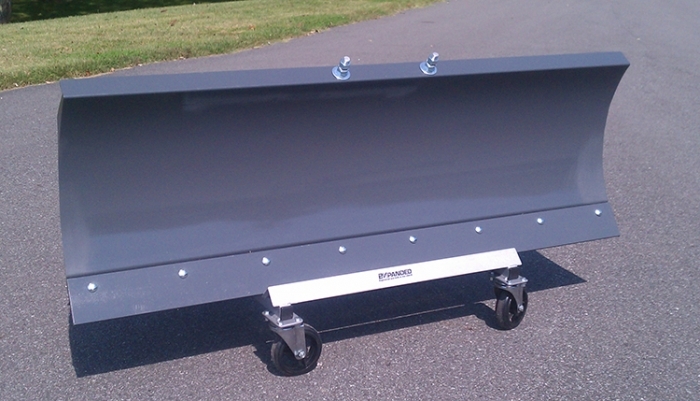 Q: Will this snow plow dolly work with a kubota 60" utility blade? A: We have never actually tried it but it was designed specifically for use with our BXpanded Snow Plow so most likely it will not work with the Kubota blade.